Signe Albertson who now lives in the Minneapolis-Saint Paul area describes her mixed media style as similar to collage. 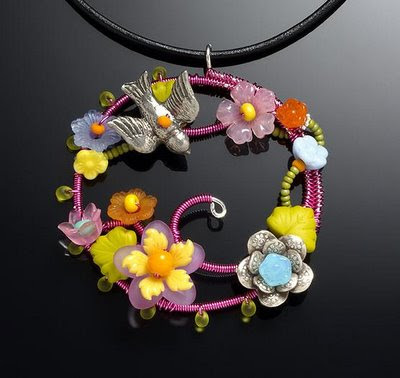 Signe also adds, "Having a background in acting and theater design, I find inspiration for my jewelry from many different areas: classic Hollywood films, art, music and literature. " The stunning result is her collection known as Signe Style. 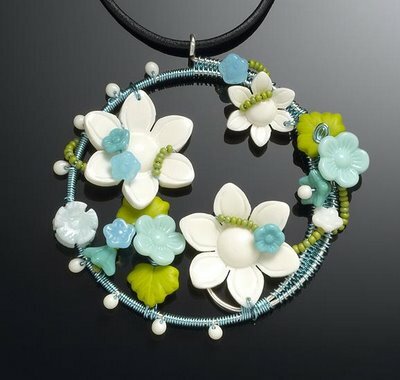 She is able to bring together different jewelry making skills such as wire work, polymer clay, hand knotting and metal smith techniques. 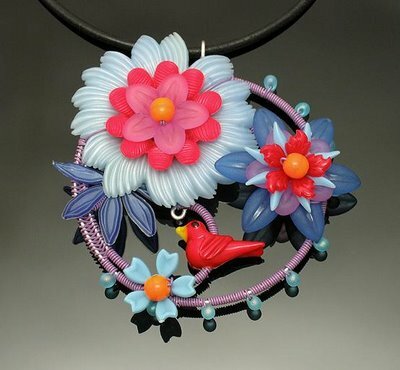 Her stunningly bold and mostly one of a kind designs are created using a combination of precious metals, glass beads, crystals, wood, polymer clay and gemstones. 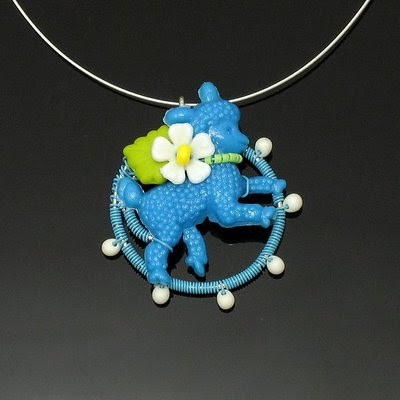 She explains her design philosophy, "When creating a piece of jewelry, I think about creating a picture that tells a story or evokes an emotion. 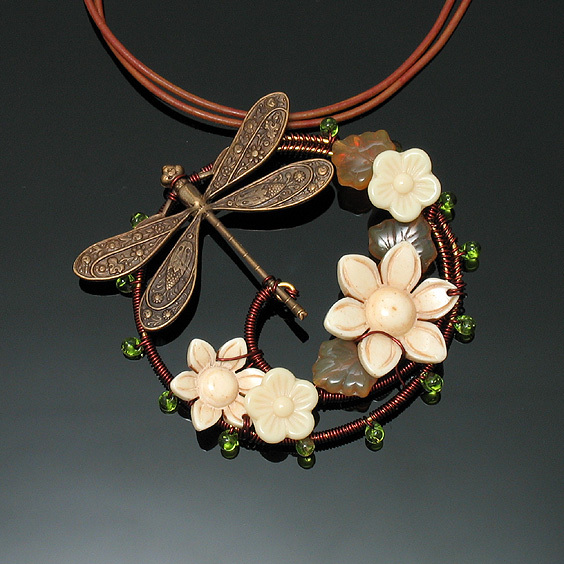 I want each piece to express a point of view and, I hope, reveal something about the wearer." I think she succeeds admirably in her goal! Thanks for another great post. Her manner of working and designs may be just the thing to inspire more refashioned jewelry....It has taken me this long to put my workspace in order since Christmas and I haven't made a thing....til now! I love how you find these really unique designers and showcase them. This one is so cool and interesting. They each did tell a little story and I loved that! Thanks, again, Pearl!